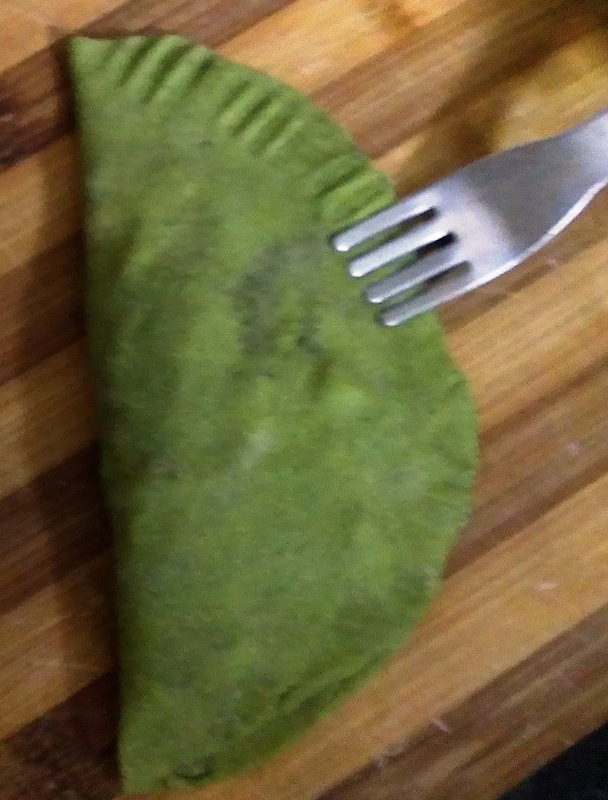 A calzone is an Italian filled oven pizza, originating in Naples, and shaped as a folded pizza.It resembles a half-moon and is made of salted bread dough. 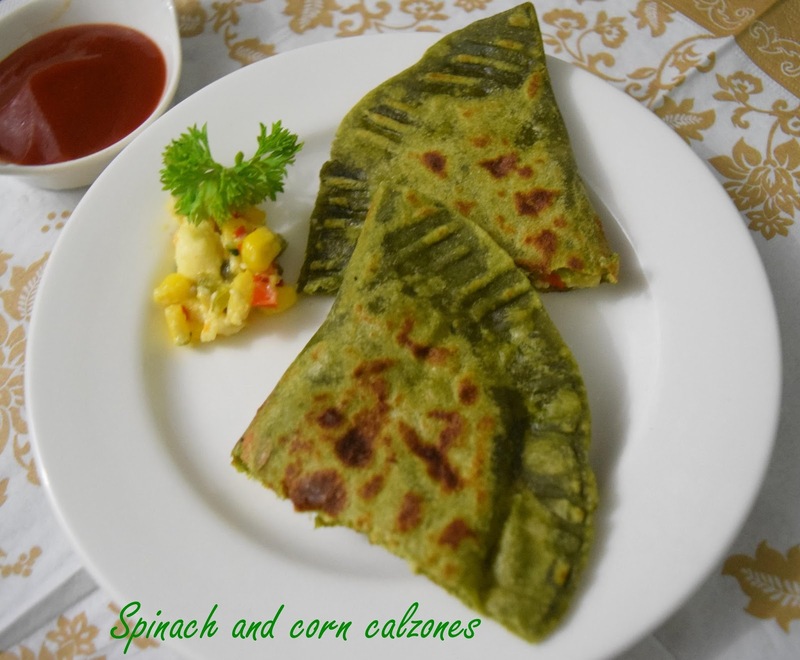 Here is an indie version of a calzone made with spinach, corn, paneer and cheese. You can call this stuffed paratha, quesedilla or calzone. Whatever the name, it is just delicious and healthy !!! Adding spinach to the roti dough increases the nutrient content and adding paneer to the filling gives you the protein factor thus making this a wholesome snack or meal. Take water in a vessel and bring to a boil. Add the spinach, Wait for five minutes and switch off the gas. 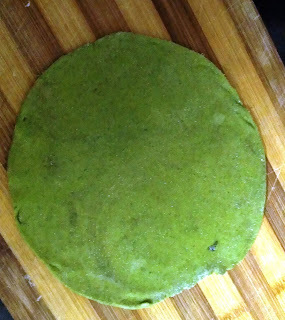 Dispose the excess water and grind the spinach to a purée consistency. Use this purée to make the roti dough. Add extra water only if required. Add salt to taste. Divide the dough into 8 equal portions and shape into balls. Keep aside. Heat oil in a pan and add green chillies and capsicum. When it is soft, add the corn and salt. Mix well and switch off the gas. 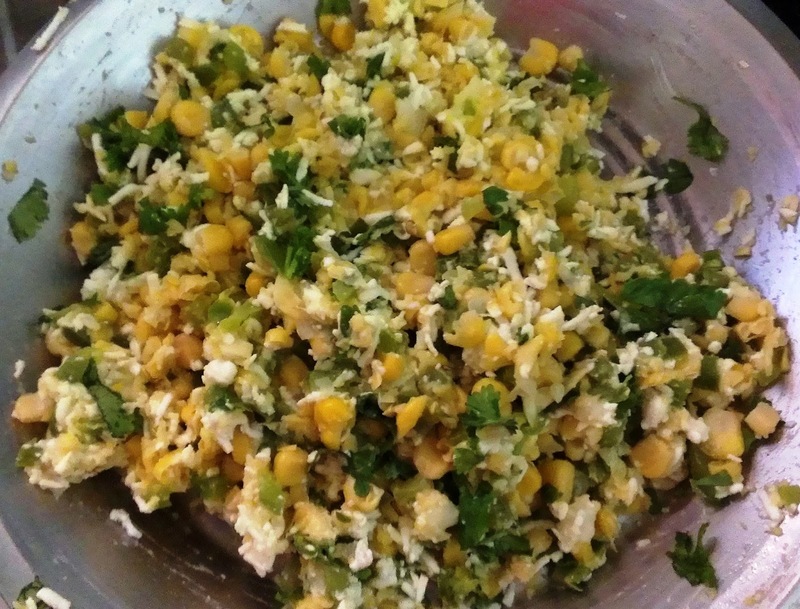 Add grated paneer/tofu, cheese and coriander leaves and mix well. Roll the dough ball into a flat circle as given below. 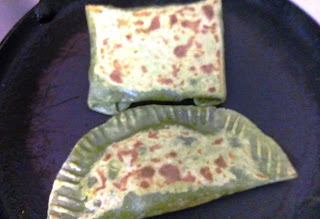 Place a tablespoon of the filling on one side of the circle/roti. Now fold the other to make a moon shaped roti. Take a fork and press on all sides to seal the edges and make a design. 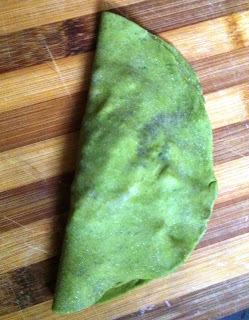 Place this calzone on a hot tava on simmer. Add a little oil on both sides. Turn around after a few minutes. 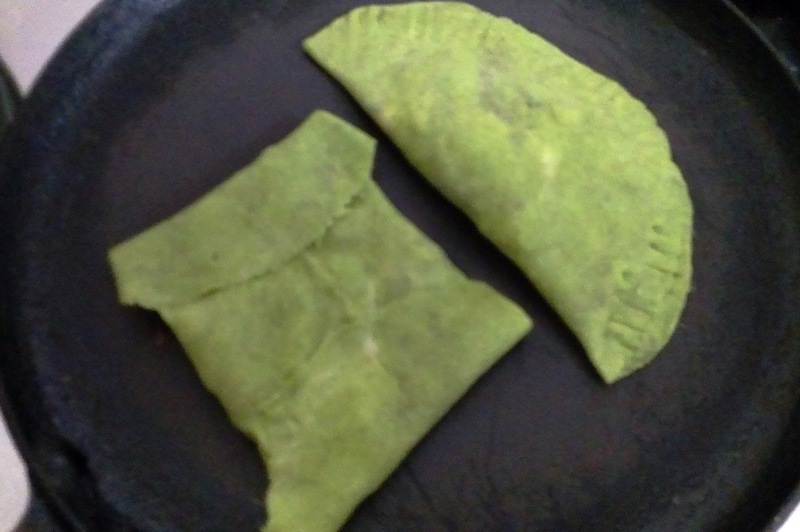 Repeat on the both sides till the calzone is well cooked. The calzone is ready !!! 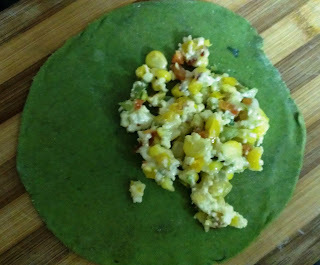 Submitting this to "Meat free Mondays " . 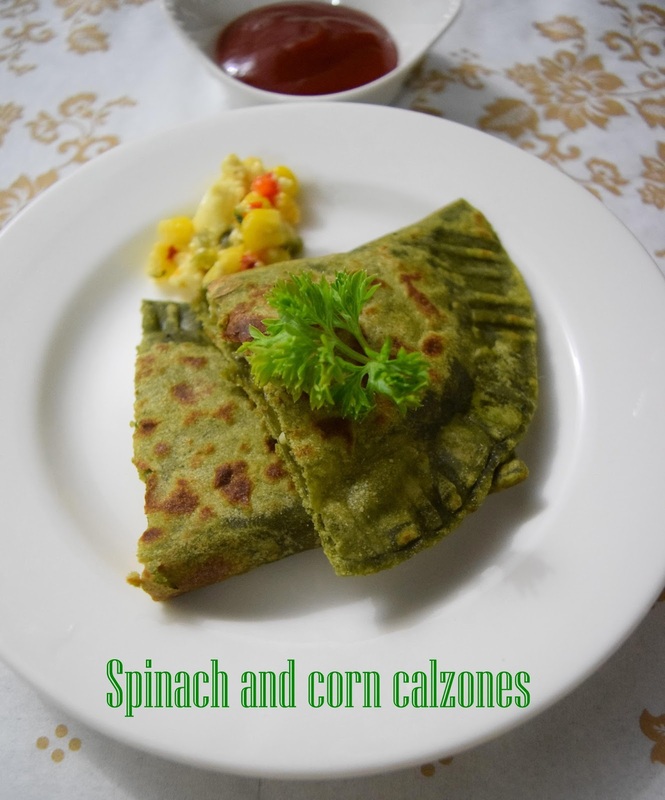 It is raining out and this recipe makes me hungry :(... A real awesome, healthy recipe. Do try and let me know, Archu !! !